Air valve for bubble system including crimp terminal, 20mm adapter for air manifold with 10mm connection. Large amount of air flows through the 25 holes. 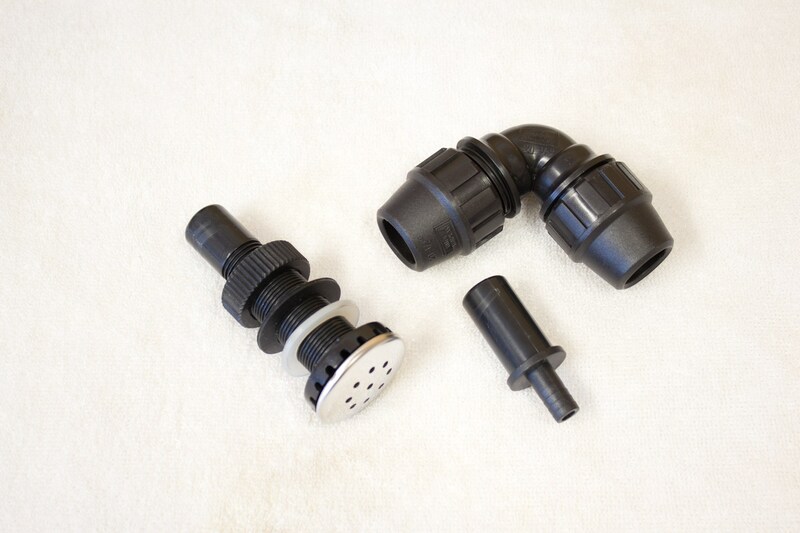 The hose is connected then to an elbow connector which can be easily connected to the air valve and adapter. These parts (19325M2412) incl. 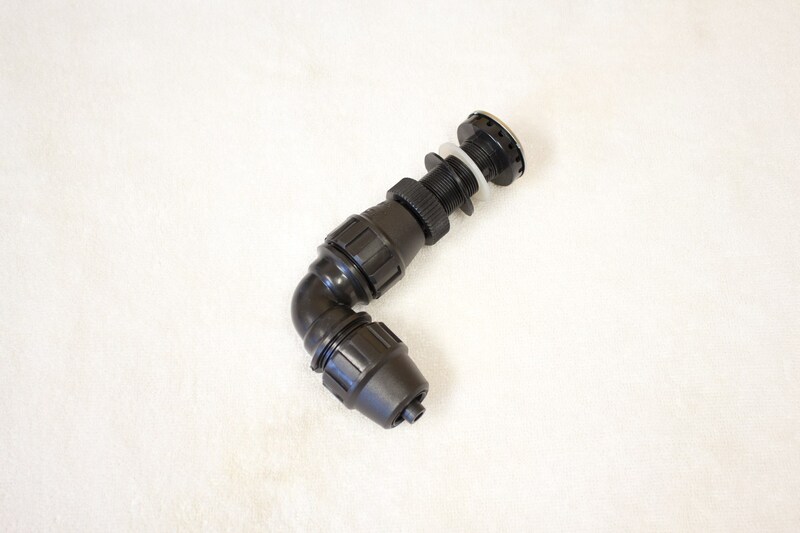 Hose (1992001015) ordered separately. See picture with part numbers.